Disabled Facilities Grants (DFGs) are mandatory once an Occupational Therapist has determined an adaptation is needed to meet the needs of a person with disabilities. Grants are means tested for adults but not for children and they do not affect any benefits that you’re getting. Installing a ramp to give access to the home. Many services related to disabled residents are managed by the Leicestershire County Council – Social Care service where you will find more information about living with a disability and how to get an assessment of your needs. For many people all that is needed is a Stairlift to enable them to continue to use the 1st floor of their property. 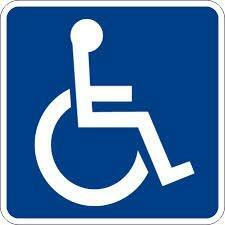 For further information go to disabled facilities grants and Disabled Living Foundation. You will also find some useful information in the publication Disabled Facilities Grants in Leicestershire. Please note that NO grant will be given for work that has begun or been completed.